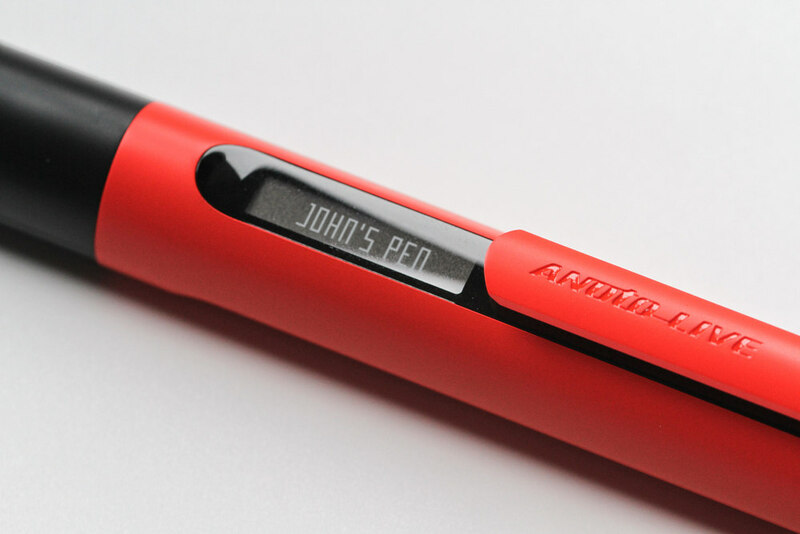 Anoto, a global leader in digital writing solutions, patented an innovative optical pen system that digitally captures traditional written communication, turning analog documents into living, shareable files for real-time collaboration. The healthcare, oil, pharmaceutical, education, transportation and logistics industries can gain enormous efficiencies by using this technology. Benefits include instant access to secure, system-wide data as well as automated data capture, which reduces transcription errors and ultimately reduces man-hours and saves costs. 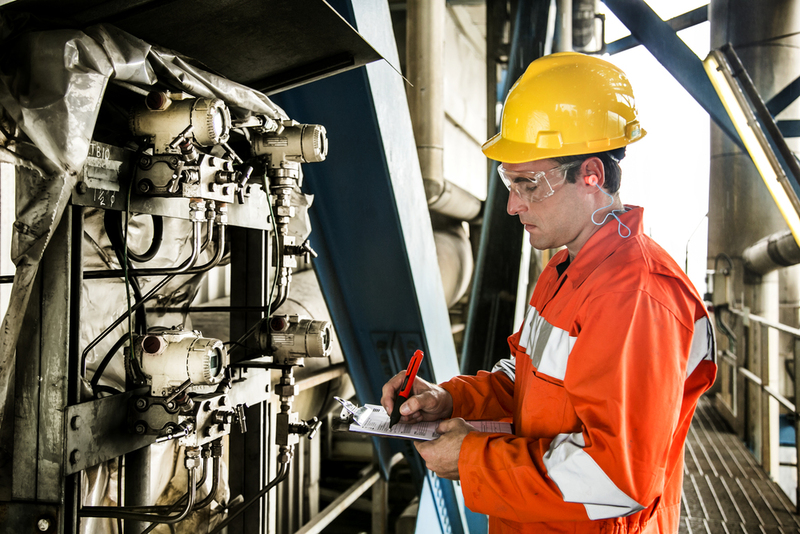 Workers in these industries rely on their gear to perform in very harsh environments, recording critical data from the field in various remote and rugged locations. 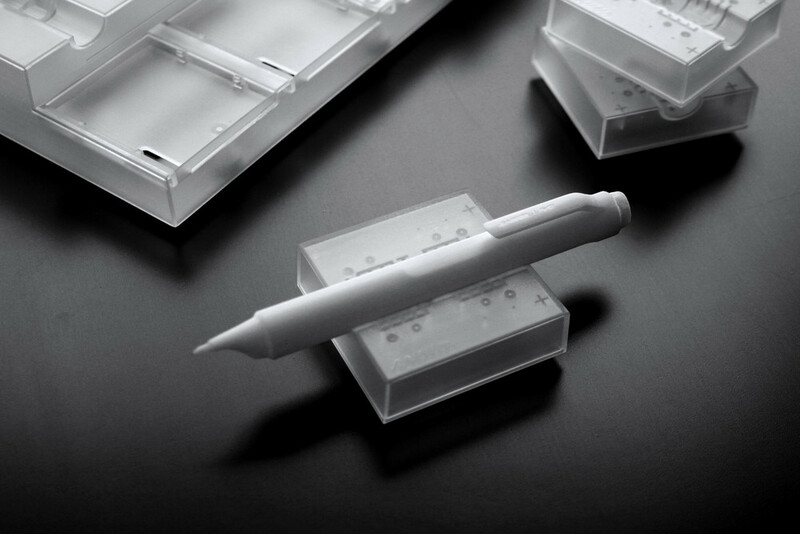 Anoto approached MNML to collaborate on a ground-up vision and design language for their next generation device, Live Pen™ 2. 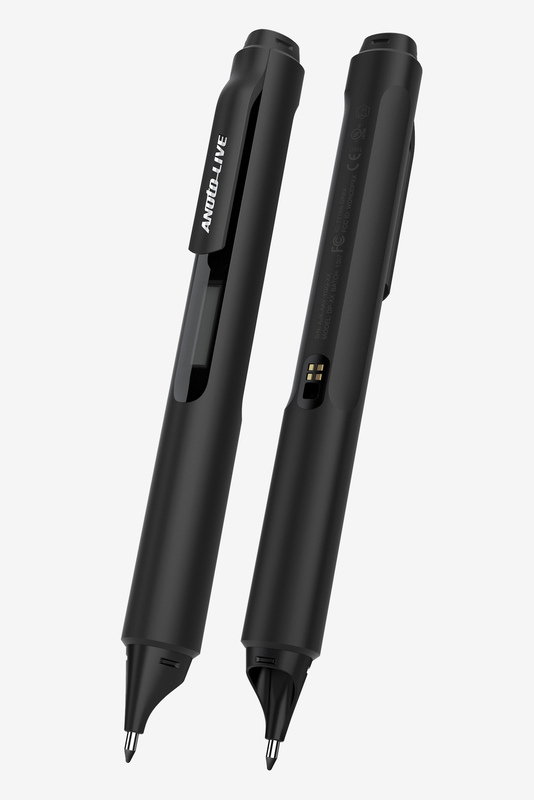 The opportunity was to design a pen and charging system that communicated a sense of durability to the user, and was tough enough to survive out in the real world while maintaining a refined aesthetic that supported all of the technological innovations that lived within. The Live Pen™ 2 has a soft triangular section that guides your hand to hold the pen in the correct position, with the ink towards the top and the camera looking down at the paper. MINIMAL worked with Anoto's engineering team to develop every product in the new Live Pen system. These SLA models were used to refine the rack charger for usability, assembly, cable management and wall mounting. The tile charger uses a magnetic snap to align the pen to it's electrical contacts and hold the pen in place during charging and data transfer. It can be used alone or with a charging rack as part of an expandable system. The charging rack takes the individual chargers and links them up allowing an entire fleet of pens to download and charge with minimal cables. The system can be wall mounted clearing up valuable desk space. Live Pen 2 has an smaller secondary cap with a lanyard loop for an around the neck wear style. Pulling down on the pen quickly releases it. In safety orange the Live Pen 2 can be easily seen in rugged environments like oil rigs and industrial facilities.